By buying this product you can collect up to 15 loyalty points. Your cart will total 15 loyalty points that can be converted into a voucher of 4,50 €. To support a healthy immunity. For quicker absorption why not use our EQUIMMUNE GOLD also rich in Echinacea purpurea root which contains masses of echinosides the constituent primarily responsible for the plants actions. 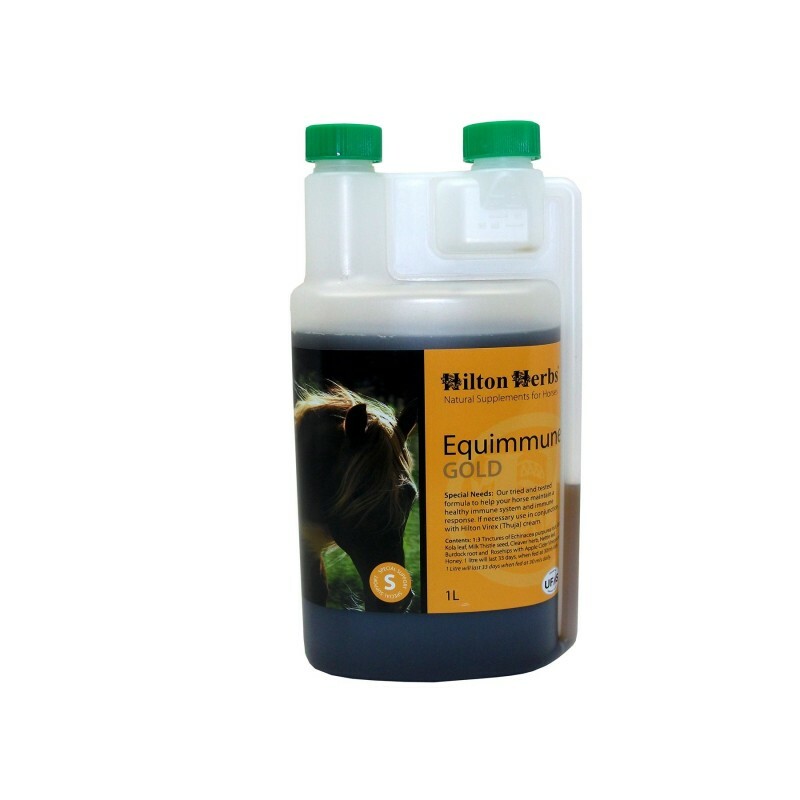 Use EQUIMMUNE GOLD to help ensure your horses immunity and immune response is given the maximum support at any time of the year. For horses with those troublesome lumps and bumps our customers tell us that Winter is the time to start using EQUIMMUNE GOLD because there are less flies around to irritate the skin. Our herbal supplements are added to the feed on a daily basis, if possible splitting the required amount between two feeds. Our liquid supplements could be given direct into the mouth (by way of a syringe). Tinctures of : Echinacea purpurea root, Gotu Kola leaf, Milk Thistle seed, Cleaver herb, Nettle leaf, Burdock root, Rosehip shells, Apple Cider Vinegar & Honey.